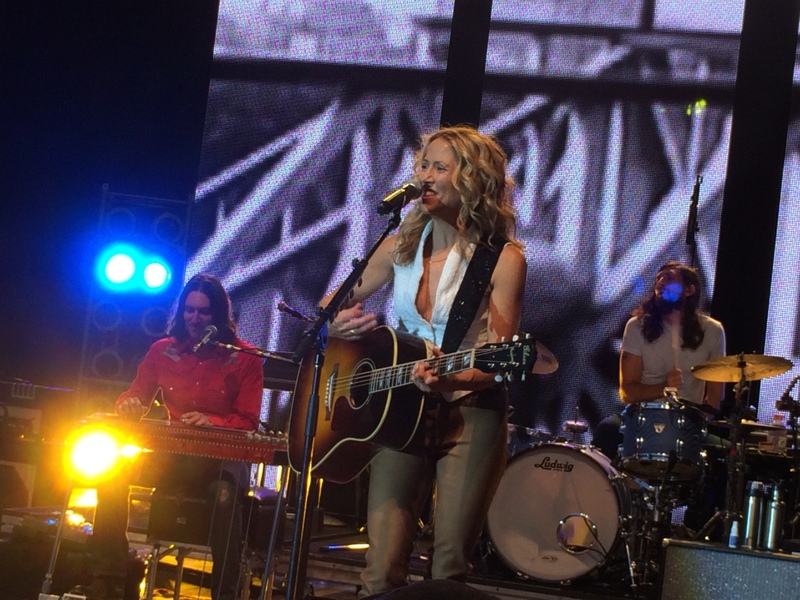 Sheryl Crow rocked Roanoke’s new Elmwood Park Amphitheater back in late July. It was the first show at this renovated venue and they started with a sell out crowd of about 4,000. Tickets were inexpensive, thanks to sponsors who helped cover the costs. It was great to see a full house at an outdoor Roanoke show and we hope to see more of this in the future. Sheryl’s show included her hits Soak Up the Sun and I Just Want to Have some Fun, of course, but she did some unexpected covers and showed her country rock chops. She covered The First Cut is the Deepest. Her two young sons made a brief appearance and she talked about how they spent the afternoon in downtown Roanoke. She had wonderful things to say about Center in the Square and the downtown area. City of Roanoke should have filmed it for a commercial! She was also very open with the crowd. We were up front and a women near us handed her a light-up blue star necklace — reminiscent of the Roanoke star. Sheryl wore it and the women looked at me and said, “My life is complete,” with tears in her eyes. She ended the sold out show with a great cover of Led Zepplin’s Rock and Roll. 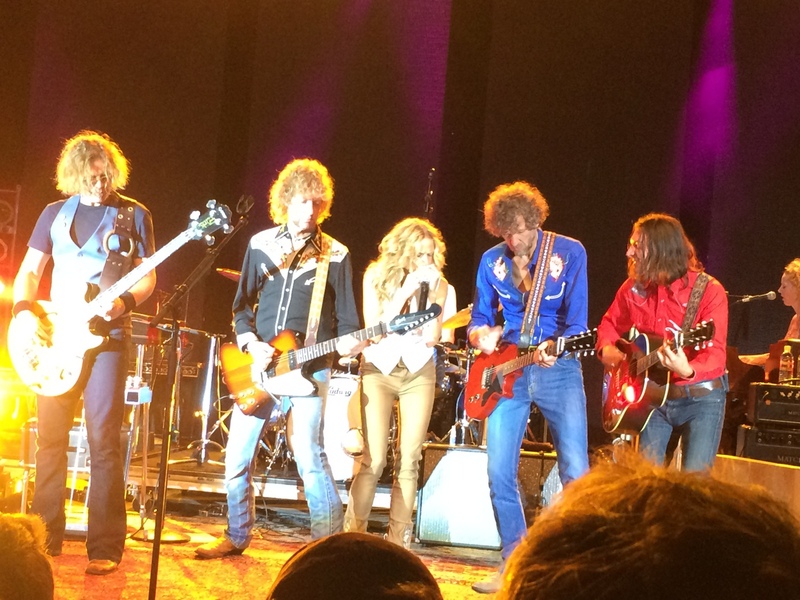 Amen, more rock and roll for Roanoke! This entry was posted in Reviews and tagged Elmwood Park, Sheryl Crow by Teresa. Bookmark the permalink.